Summer is here, and with it comes the patriotic holidays of summer – Memorial Day, Flag Day and Independence Day. Summer is also a great time to take advantage of the abundance of delicious summer fruit. Combine these two things and you get a nostalgic, sweet dessert – a flag cake. There are countless variations of this favorite, many based entirely on processed foods: cake from a mix, whipped topping and red and blue gelatin. My version, though, features a mixture of from-scratch components as well as some convenient processed ones. I use a cake from a cake mix as the base (though you could easily swap in your favorite homemade recipe, baked in a rectangular pan) then top it with whipped cream and fresh berries. cake a sturdier texture that lasts longer on a buffet table and supports its fruit topping without deflating. 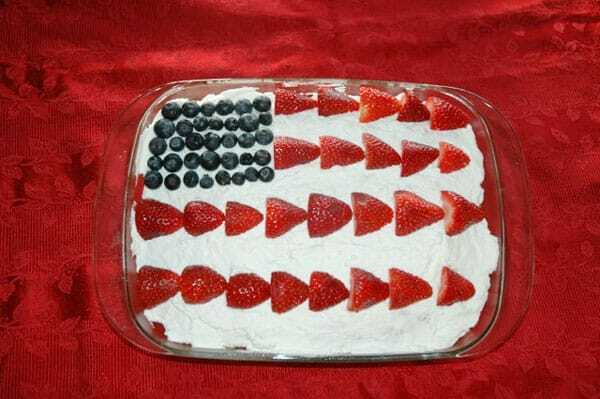 This dessert makes a pretty centerpiece for a summer barbecue, and can even be deconstructed to make a patriotic trifle. Simply cut the cake into bite-sized cubes and layer with the other ingredients in a decorative glass bowl. This cake is best served well chilled, so keep it in the fridge until right before serving time. Note: Be sure to drain and dry the berry very well to avoid colors bleeding. Vanilla or yellow cake, freshly baked in a 9x13 pan and completely cooled (either from a boxed mix or your favorite homemade recipe). You will need: Stabilized whipped cream (see recipe below), blueberries - rinsed, strawberries - rinsed and sliced; both drained and dried. Spread a thick layer of whipped cream on vanilla cake still in the pan. 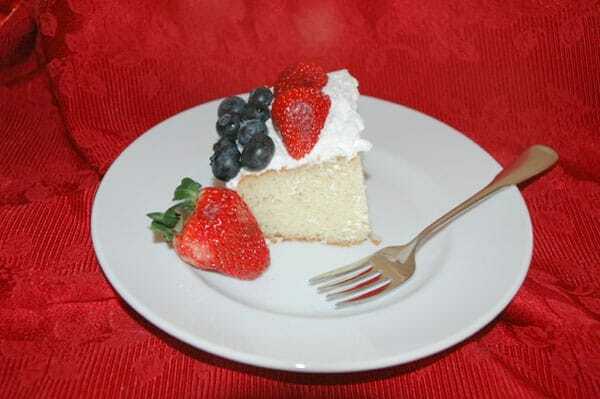 Using blueberries, create the blue “field” in the upper left-hand corner of the cake. Use strawberries to make red stripes. If desired, pipe whipped cream on blueberries to make stars. Refrigerate several hours and serve chilled. In a small saucepan, sprinkle gelatin over cold water and allow to dissolve; let stand until thick. 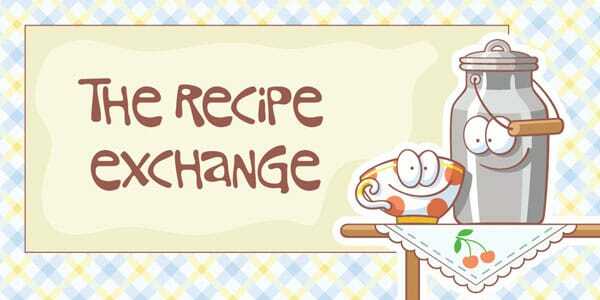 Place the pan on the stove on low heat, stirring the mixture constantly just until the gelatin dissolves. Allow the mixture to cool slightly. Meanwhile, whip the cream with the sugar until soft peaks form. Slowly drizzle cooled gelatin mixture into the cream and whip cream until stiff.